Liquid Limit Machine, Motorized or Hand-Operated - Gilson Co.
Gilson offers motorized or hand-crank operated machines with either an automatic impact counter, or a cost-effective hand-crank model without counter. 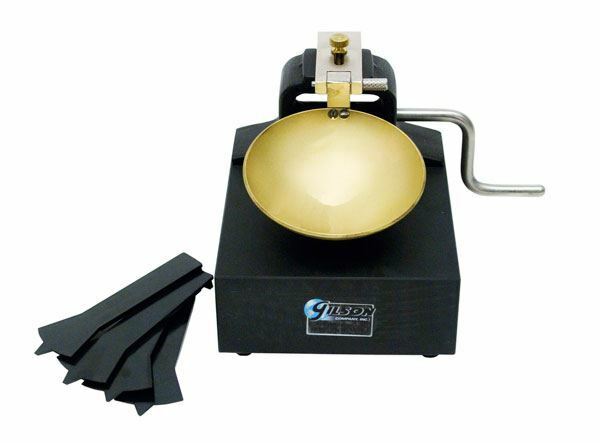 All models consist of a brass cup and carriage designed to control drop to exactly 1cm onto a hard rubber base. Height of drop is adjusted by a nut at the rear of the cup carriage using the gauge at one end of the included plastic Casagrande Grooving Tool, model SAA-10P. The cup attaches to the carriage by a pin, for easy removal when cleaning or inspecting. 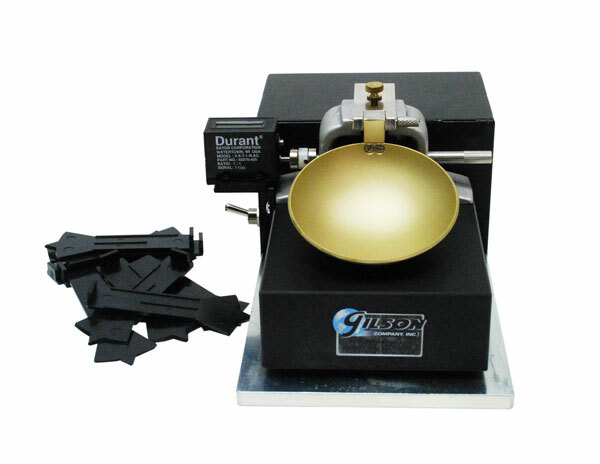 All mechanical parts are machined from solid brass and rubber feet isolate the base from the work surface. SA-60 Motorized Liquid Limit Machine, 115V/60Hz, with counter is most accurate with use of a special geared motor assuring proper operating speed of 1.9—2.1 drops per second. An on-off switch is provided. SA-60F Motorized Liquid Limit Machine is identical, but with 230V/50Hz. 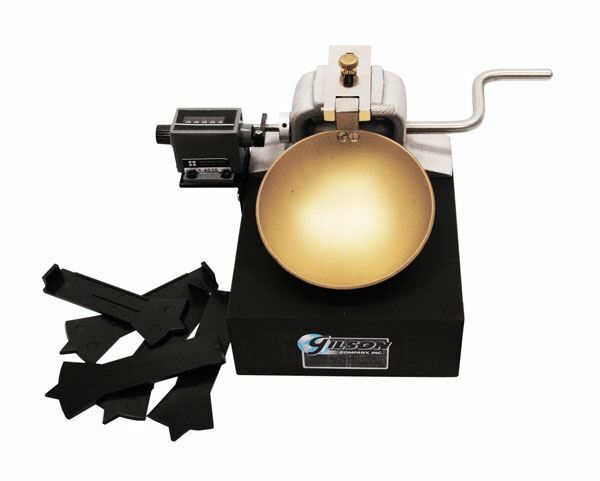 SA-61 Hand-Operated Liquid Limit Machine does not have a counter and is a more economical option. SA-62 Hand-Operated Liquid Limit Machine with Counter offers a more automated, cost-effective option.